Do you remember when you first bought a computer and began linking to the ‘web’? Remember how slow it was? When did you start exploring astrology on the inter-net? I remember doing all of this back in the mid-90s. Look where we are now! Astrology has flourished and grown exponentially because of the digital revolution on this planet. There are now thousands of web sites and blogs devoted to this ancient body of knowledge and a whole new generation of astrologers are making their mark on the world via the web. So we all have more and more choices as we surf and explore this fascinating subject. I started this blog back in 2008 as a way of sharing and reaching out to a larger audience. Along the way I’ve connected with other fine astrologers like Kathy Rose, who is now a regular, because I like her excellent videos describing the New Moons and monthly cycles in clear, abbreviated forms easily understood by novice and expert alike. Recently I was contacted by Jamie Slack, a self taught professional astrologer from the United Kingdom. 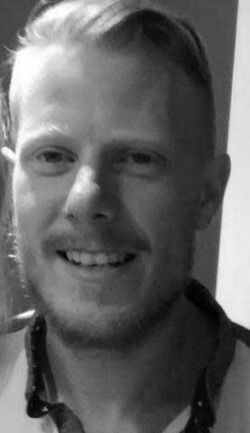 We corresponded a bit and I decided to interview him for a couple of reasons: he is part of the new generation of young astrologers who easily combine technology with traditional ways of learning and practicing astrology, and he has created his own unique software reports for an incredibly reasonable price. May you gain inspiration from this interview and by all means check out his web site and offerings! At what age did your interest in astrology begin, and what sparked it for you? I first studied the foundations of astrology when I was 16 years old. I was first inspired by a personal natal chart reading I received as a birthday gift. From that point I was fascinated by astrology, and how it could predict personalities and events. 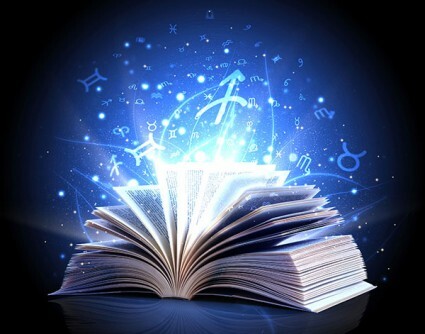 Throughout the years I have advanced my knowledge, especially in the areas of natal, synastry and predictive astrology. What was first a hobby then become an obsession, spending many hours doing astrological readings for people from all walks of life. Were there any people in your life back then that you could study with? If so, who were they and how did you learn from them? Teaching myself astrology was difficult. I did not know anyone that studied it. I always found people that enjoyed astrology readings, or had a fascination with astrology. However, I rarely encountered someone who studies the subject in depth. I could have attended an astrology course. I choose not to because astrology is not a proven science. Therefore the rules of astrology are very subjective, and depend upon the individual interpreting the data. I believe the best way to learn astrology is to analyse many people’s charts, especially from people you know. You can then understand for yourself how different astrological positions may affect a personality or event. It is also important to read many books on astrology regarding chart interpretation. How did you search out answers for yourself and what were the books, journals, magazines, etc. that you read to learn more? Which are your favorites? Are there certain web sites on astrology that you really like? You can practice astrology in your everyday life. If you know a person’s birthday, think about how they may relate to their Sun sign. The first astrology book I read is ‘Astrology for Beginners’ by William W. Hewitt. I found this book great to start with as it has many astrological natal chart interpretations. It also says how to erect a natal chart using modern and old techniques. ‘Everything you need to know about astrology’ by Trish Macgregor is also good for astrological natal chart interpretations. There is also a section that covers chart rectification. ‘Reading the Future’ by Sasha Fenton. ‘Predicting Events with Astrology’ by Celeste Teal. One of my favourite astrology websites is Astro Dienst. This website is great for creating different types of astrological charts, and it is free! You can also create a profile and save different charts you have created. When did you actually start computing and interpreting charts? Who did you start with? When did you feel confidant enough to go professional? After reading many books on astrology, I decided to manually draw out my own chart when I was 18. I did not jump straight into using automated software as I wanted to know how astrological charts were created from the raw data. This was an important step in my studying as it made me aware of different house systems and ways a chart can be plotted. It also forced me to learn astrological symbols as I needed to physically draw them out. I then moved onto automated chart drawing when I was 19, using websites that offered free online astrology charts. I eventually purchased astrology software that gave me more tools, especially in the area of predictive astrology. Astrology software enables you to look at charts in greater depth. You can also customise your own interpretations within the software, and create a report from a particular chart. Confidence can only be gained via feedback from people you have interpreted a chart for. I have had fantastic feedback over the years. Constant positive feedback encouraged me to go professional. However, any negative feedback is taken seriously too. In such a case I would investigate why a reading was not that accurate. Sometimes I may even fine tune or adjust the way I interpret a position on a chart. Overtime a good astrologer will learn how different planetary positions can be interpreted more accurately. 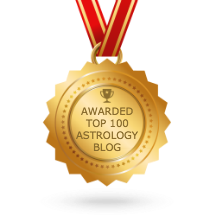 I went professional in 2010 when I created my personalized astrology reading website and blog. My website has given me the chance to inspire others to learn astrology. What methods have you found useful in developing a good astrology practice? Analysing many charts of friends and family has been the most helpful method to learn astrology. Close friends and family are a good reference point to use in astrology, as you may have a rough idea of their personality traits. It is also good way to test what astrological chart setup you prefer to use such as selecting house systems. Feedback from people is essential in astrology. My aim is to impress people with my accurate astrology readings. I am always trying my best to improve my methods of interpretation. I see you mention your intuitive abilities coupled with your engineering degree? How do you see both sides enhancing your practice? Have you always had intuitive gifts? How did you further develop them? I am an engineer with an obsessive interest in astrology. I use my engineering skills to understand astrology. ‘is someone who is concerned with applying scientific knowledge, mathematics, and ingenuity to develop solutions for technical, societal and commercial problems’. I believe these skills are relevant to astrology. The fundamental basics of astrology is about observing patterns and cycles. Then correlating this with human behaviour. Engineering and scientific disciplines use the same process to solve problems. Many famous scientists such as Sir Isaac Newton and Albert Einstein would have observed patterns in the cosmos. They came up with a mathematical formula to explain the pattern occurring. I believe the best way to understand astrology is to compare it to weather predictions. People many years ago would not have thought weather prediction to be possible. However, it just so happens we can today. We have come to realize there is some kind of order within the weather system. So it is logical to say why cant there be order to human behavior, I believe this order is called astrology! Just like predicting the weather, predictions cannot be 100% right. This is where intuition comes into play. Using your intuition is to make judgements based on your feelings and life experience. When I analyse someone’s natal chart, intuition is used when I look at the chart as a whole. The whole chart will give me a feeling of the kind of person I am reading. My engineering analytical mind is then used to focus on the smaller details, such as interpreting all the different celestial positions within the chart. What do you enjoy most about astrology at this time in your life? I enjoy surprising my clients with my accurate personalised astrology readings. Sometimes I encounter people who are critical of astrology, usually because they have only read generalised predictions in the local newspaper. These are the people I enjoy surprising the most. What advice can you give to those wanting to learn more about astrology? What advice can you give to those wanting to actually become professional astrologers? Learning astrology is about observing patterns and trends. Just like anything in life, anyone can learn it if they are determined. There are many sources of information out there such as books, internet and classes. Earning a living from astrology alone is difficult. Everyone may have different reasons for persuading astrology. I am naturally curious, investigative and analytical. For me astrology is a good hobby / job to do on the side. And I enjoy helping people psychologically. I asked Jamie to send me one of his personalized reports which he did. I received my ‘Astrological Natal Chart Personality Reading’ quickly as a downloadable document. This 18 page report gives me a nice breakdown of my birth chart with descriptions of all 10 planets in their signs and houses and all the different combinations formed between one planet with another. It’s a bargain for sure! Of course it’s not a synthesis of your chart nor is it meant to be. Interpretation is an art acquired through skill and practice and is only as good as the practitioner. These reports, however, save you time and energy looking up each item for yourself when you are wanting to know more about your Moon in aspect to Uranus, for example, or what is the meaning of Jupiter in the 12th house. It’s all there in a well written report! Her Jamie, I’ve sent you an email message for you. Good job by the way!